Sometimes you don’t have to go far to find travel inspiration and a change of scenery. 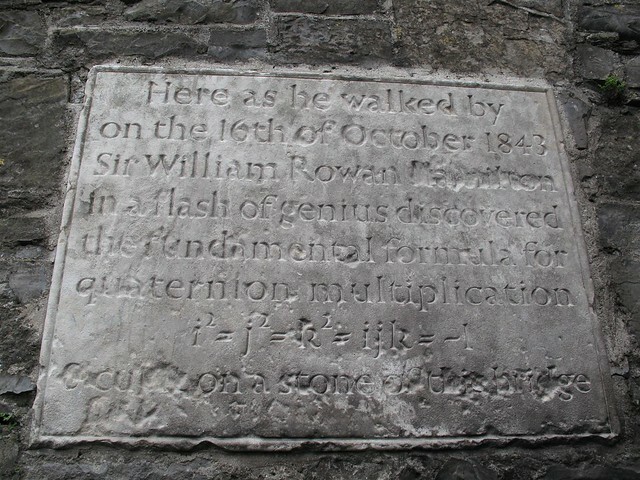 In my search of the world for sites of mathematical significance, it turned out I’d been overlooking one practically on my doorstep! As Scott Russell described, such waves are unusual in that they can travel long distances whilst preserving their shape, rather than toppling over or simply flattening out with time. Named in his honour in 1995, The Scott Russell Aqueduct carries the Union Canal over the Edinburgh city bypass, yet the thousands of people who drive underneath it every day have probably never heard of his work- many have probably not even heard of the canal! Yet as well as having added to our understanding of physics, electronics and biology, soliton waves are of great practical importance today for their role in long distance communication with fibre-optics. Despite its clever design, the Union Canal’s importance would be short-lived: within twenty years, trains had overtaken barges as the fastest way to travel. 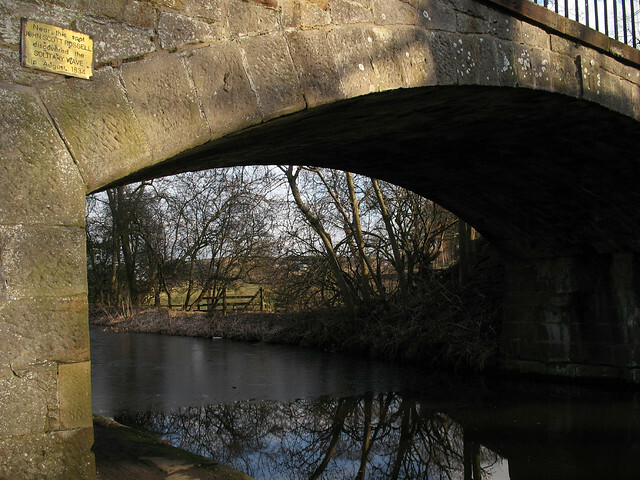 The banks became overgrown and the canal filled with rubbish, and the decline continued after its eventual closure in 1965, as the construction of housing and the M8 motorway caused sections to be cut or filled in. Fortunately, an £85-million project – the millennium link – came to the rescue. 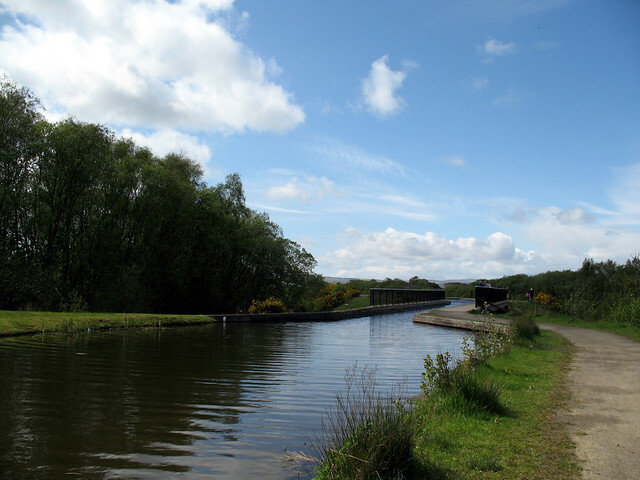 The two canals had originally been joined by a series of 11 locks in Falkirk, but as these had not survived, a more spectacular solution was found- the Falkirk Wheel. 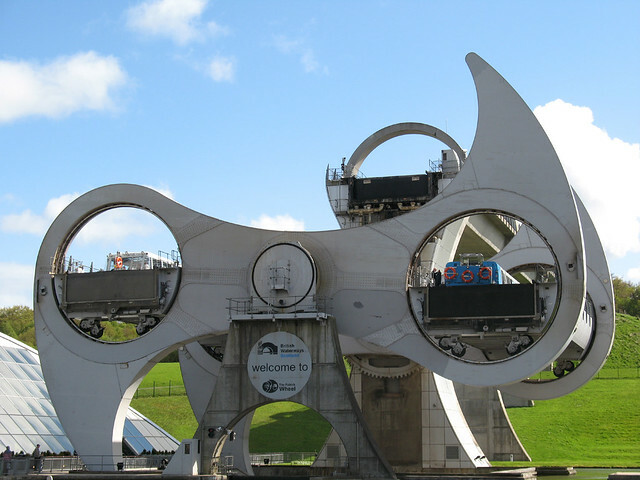 This engineering marvel is the world’s only rotating boat lift, capable of transferring boats between the two waterways in minutes – and, thanks to physics, using only as much energy to do so as boiling 8 kettles! The wheel opened in 2002, providing the final piece to restore the link between the two cities, providing ideal opportunities for walking, cycling or boating. I can’t wait to explore it further in the spring! Nice find. I’ve added it to our database at http://openplaques.org/plaques/7509 If you set the licence on your Flickr image to a Creative Commons one and tagged it openplaques:id=7509 then we’d be allowed to display it. Hi Jez, I’ve made the requested changes to the flickr image, and will check my archives this evening to see if I can find you a clearer shot of the plaque itself. Good luck with your project!